As cities and towns grow many people start to wonder, what exactly is it that draws people to make the move to that place? What makes it so special? Tomball, Texas is quickly becoming one of these booming places that people are beginning to get more and more curious about. While there are many, here are just a few reasons why people are moving to Tomball, TX. If there is one thing that Tomball has to offer, it's the town's large variety of activities that the whole family can get involved with. These attractions include parks, hiking trails, golf courses, driving ranges, and so much more. Tomball also offers many great events throughout the year with different festivals such as their "Tomball Honky Tonk Music Festival" and the "Beetles, Brew, and Barbecue" food festival, there is almost always something going on in the community. They also boast having the Splashtown Waterpark, which is the largest waterpark in Southeast Texas. Another great selling point for those with families are the fantastic school systems in Tomball. With public and private school options within the community, there is a place for everyone to receive the level of education every parent wants their children to receive without having to drive into the city. There is also an option for higher education. Tomball also is the home of the Lone Star College - Tomball campus, which is a part of the Lone Star college system. With less than a 40-minute drive from Tomball to Houston, people are able to feel as if they belong to the city while also having a more affordable place to live and raise a family. 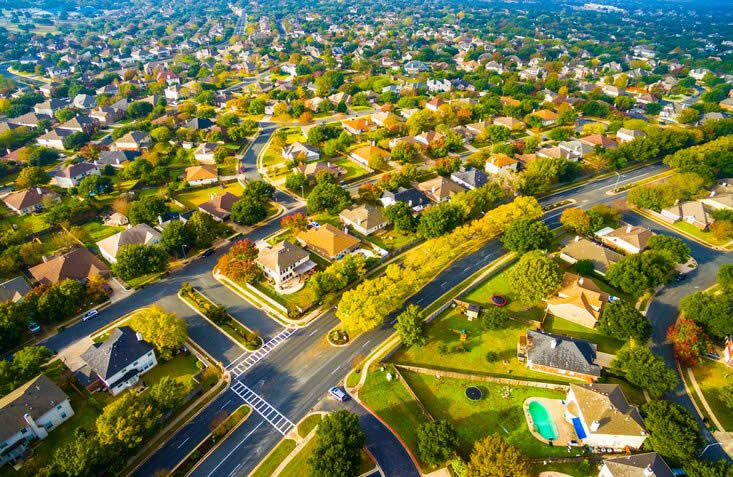 Because of the short commute, people working in Houston can still live close enough to work, but also have a nice, quiet town to retreat back to and relax in at the end of the day. It is very clear as to why people are choosing to move to Tomball with all of these great attributes as well as many others that have not been mentioned. If you're looking to make this move and are looking for a family friendly, luxury community to live in, contact us at Rosehill Reserve for more information on a fantastic neighborhood located only seven miles away from downtown Tomball.